When our daughter was young, Barry would often read aloud to her. He once read an excerpt from “Gulliver’s Travels” and she giggled incessantly upon realizing what “making water” meant, bright child that she was. The next few hours found her laughing and repeating the phrase. I’m not entirely sure that’s what we wanted her to most remember (Or repeat. In front of her grandparents! ), but she has never forgotten it. While in Ireland recently, we were offered the opportunity to attend the Swift Satire Festival in Trim. 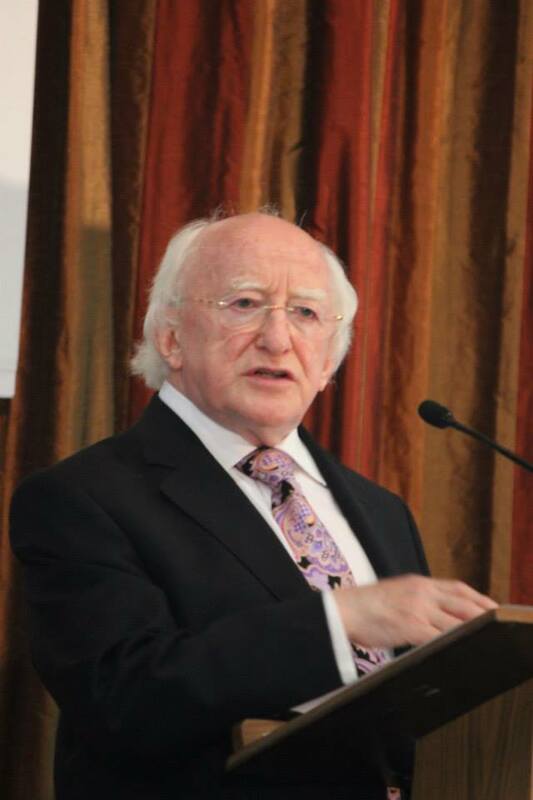 It was a pleasure made doubly so by the President of Ireland who is not only a leader, but a scholar, giving the festival’s inaugural address. At the conclusion of his speech he shook hands with a few of his listeners. My husband and I were happily among those. Sad to say, our hands were too occupied to use our camera to record the event. But what’s the chance we’ll ever forget it, anyway?